What season? Recommended during summer time, prohibited when snowing. *Please note, although the above map may be considered useful to plan your trip, it is mainly for illustrative purposes as it reflects only approximate locations and distances. However, it is not an accurate map to be used in the mountains. 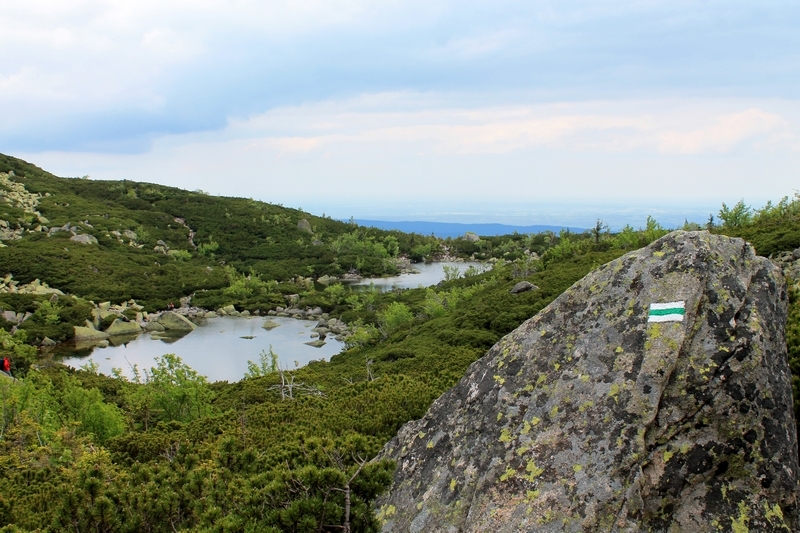 Every tourist should carry the map of hiking trail markers while trekking. More information about it can be found under Safety Tips section. Under Snowy Cirques the hike leads through the big stones surrounded by mountain pines which at the certain points are taller than a person. The walk may not be pleasant for a child sitting in a baby carrier on your back. There are a lot of routes that lead to Śnieżne Kotły (Snowy Cirques). However this one is less commonly used. 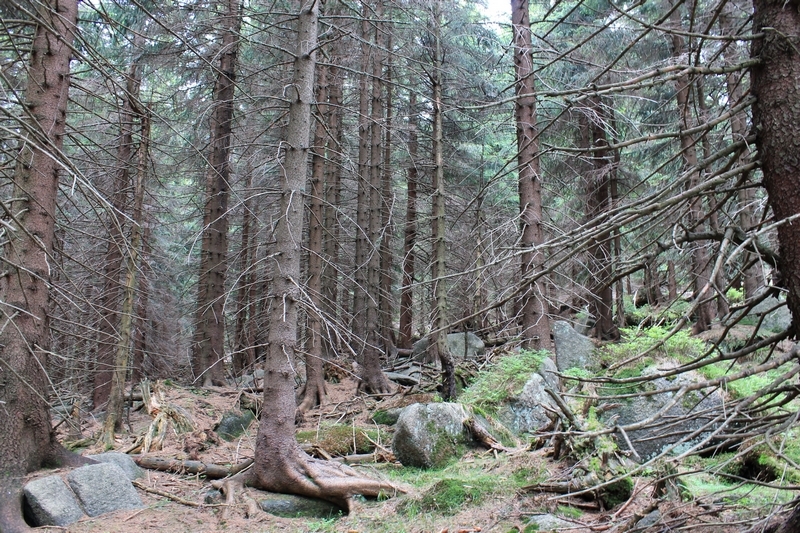 It is a more peaceful hike and is not as crowded as others. It begins in a beautiful village Jagniątków that formally is one of Jelenia Góra's districts. If you travel by car, drive to Jagniątków parking next to Dom Hauptmanna (Hauptmann House Museum) located on Michałowicka Street. Otherwise, take the bus number 15 from Jelenia Góra which brings you to the same starting point. 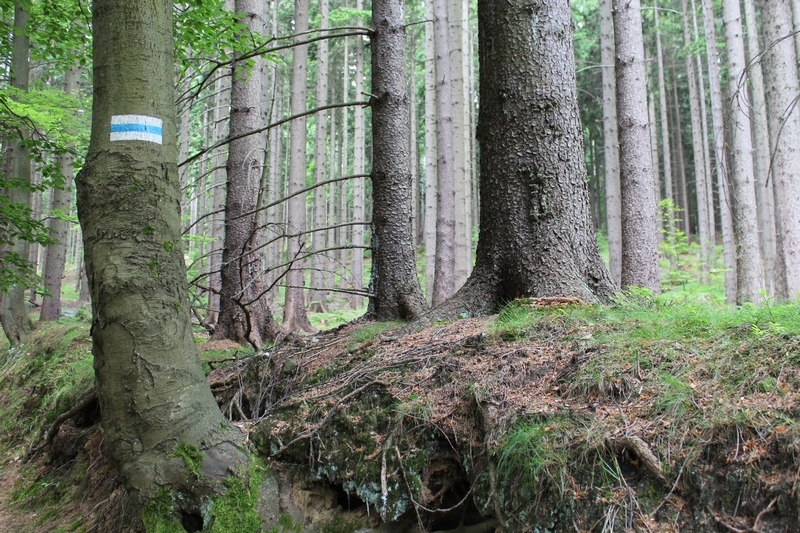 Once you are there, find the blue hiking trail markers of Koralowa Ścieżka (Coral Path) behind the parking lot. The blue trail leads through the woods and passes at least 3 crossings before it meets the black one. The walk is a bit tiring up the hill but the view of the trees and the calmness together with the fresh air are a reward for the effort. After a certain point, the slope is not that steep anymore. 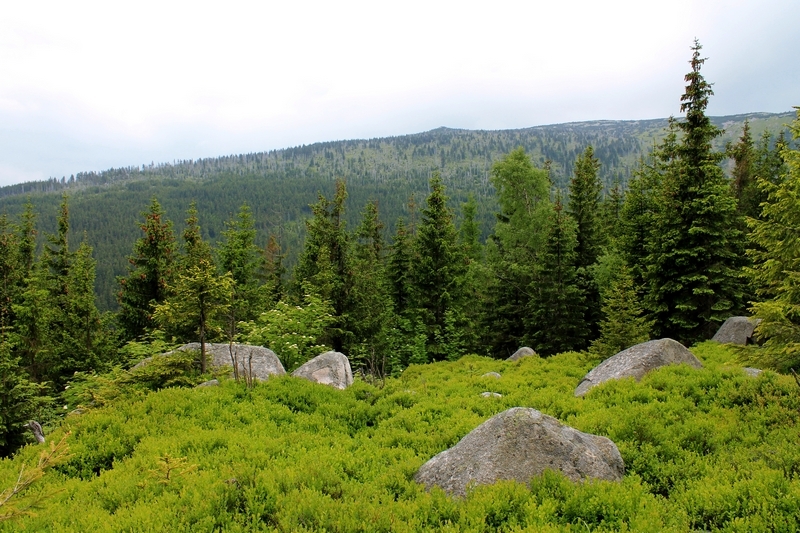 The surroundings are much more green and full of blueberry bushes. This is a sign that the junction is close. 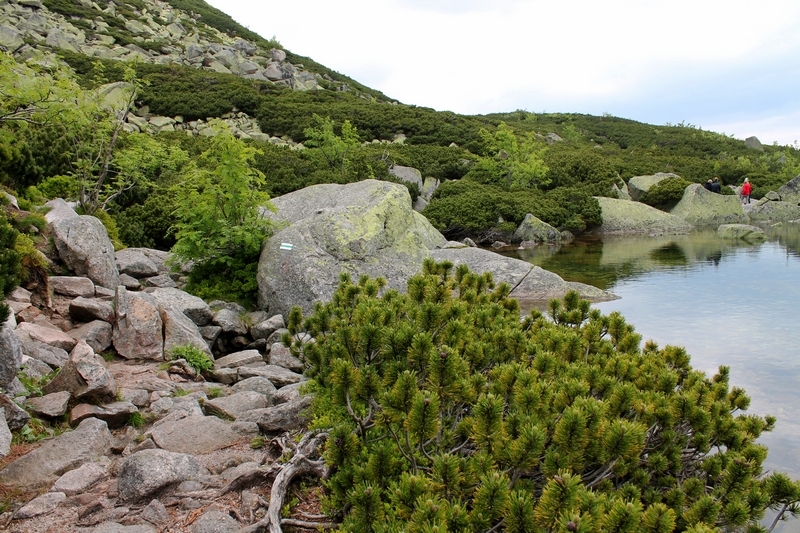 Once you reach it, turn left and follow the black trail in the direction of Czarny Kocioł Jagniątkowski (Jagniątków Black Cirque). If you check the map, the proposition may seem wrong as the Snowy Cirques are on the right, but you will actually come right back to this crossroad and take this course in half an hour. Czarny Kocioł Jagniątkowski (Jagniątków Black Cirque) is a "must visit" location for everyone and if you are lucky to be there on a sunny day you will witness the view on the corrie that is simply indescribable. The bottom lies at the level of 1130-1150m.o.s.l. and is covered by trees and grass. 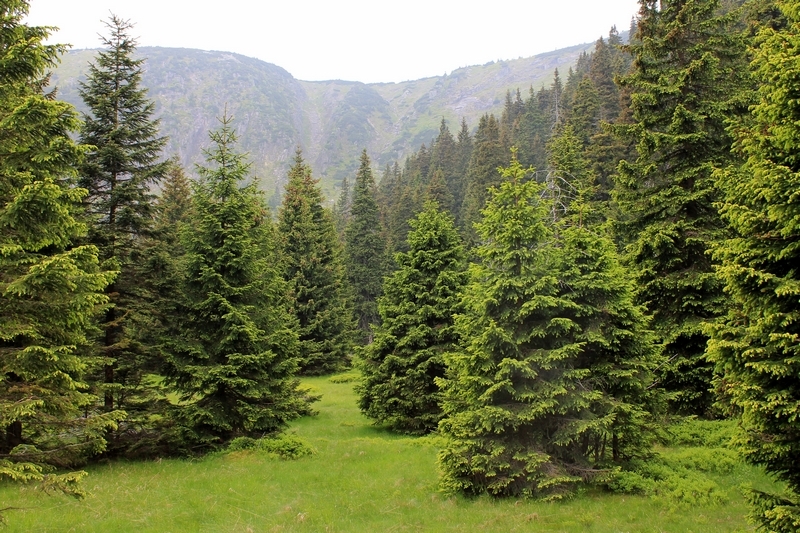 The fresh, clean air and the omnipresent, fairy tale like atmosphere makes you forget about the daily concerns. In addition, the green area is surrounded by 200 meter granite walls, it's a truly wonderful place, ideal for a short break. 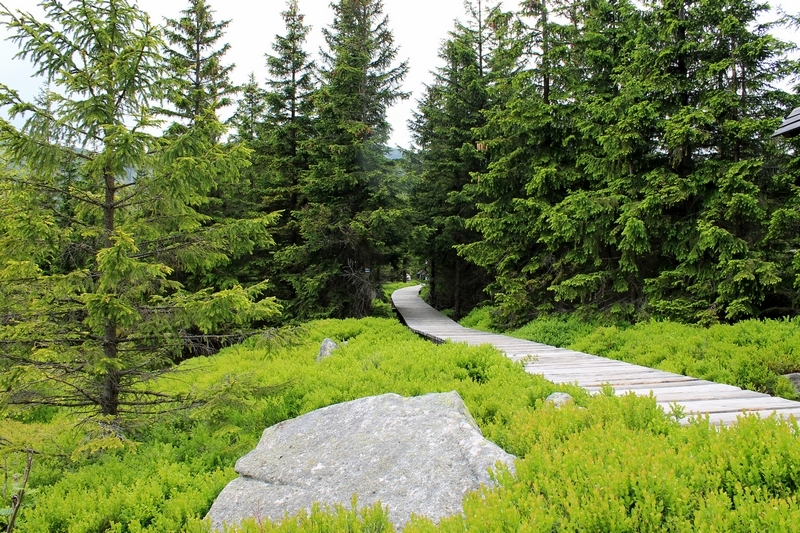 Whenever you feel ready to resume your hike, take the green trail leading through the woods and mountain pine towards Śnieżne Kotły (Snowy Cirques) and follow it for another 100 minutes. On your way to the corries, stick to the green markers when passing the two junctions, one called Rozdroże pod Śmielcem (Crossing under Śmielec) and the other Rozdroże pod Wielkim Szyszkaiem (Crossing under Great Zischagge). 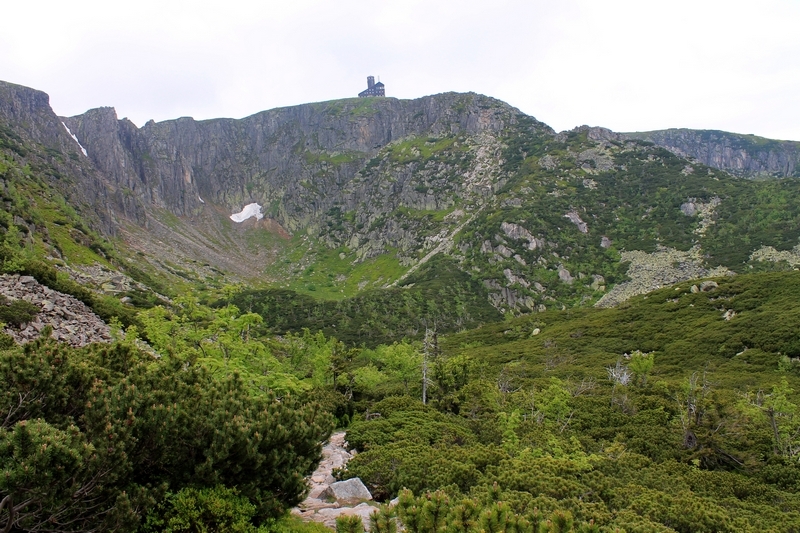 The path is a challenging one with stages of large stones in the way, however, your effort will be rewarded with the spectacular view of Śnieżne Kotły's (Snowy Cirques') vertical slopes. The scene is breathtaking and everyone here feels small when looking up the walls of the corrie. Additionally, the trail guides through a beautiful scenery, it will take you among little tarns which make the whole experience unforgettable. At the top of the cirques is a view point and a building of the radio and television relay station. 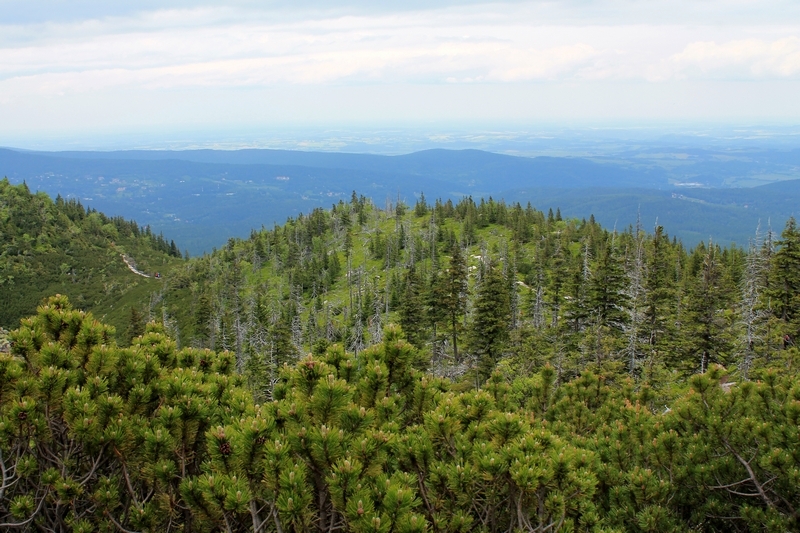 If you wish to admire this place from the top, feel invited to read our hike suggestion named Hoarfrost Summit I. 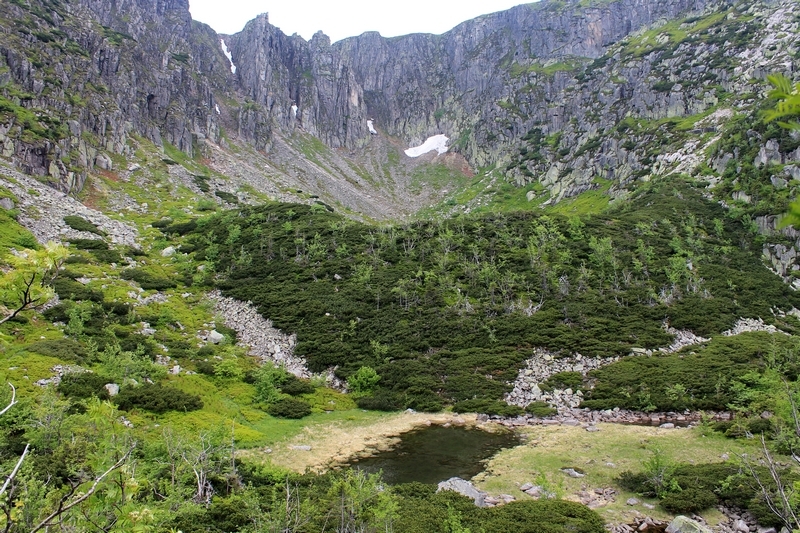 The next location on your way is Łabski Kocioł (Laba Cirque) whose name corresponds to the mountain peak that towers over the corrie, Łabski Szczyt (Laba Summit). At this point your legs will be probably tired of the exhausting hike but the good news is that not far away is another hostel. On the nearest crossing where the green, yellow and red trails converge, take the red one that leads to Schronisko Pod łabskim Szczytem (The Shelter under Laba Summit (www.labskiszczyt.pl). The place offers 38 beds and meals can be bought from 8:00 until 20:00. An extraordinary night awaits for those who decide to stay there after sunset. Since there is no fixed electricity installed, the light supply is limited and comes from a power generator during afternoon hours. The owners kindly request all visitors to bring candles to illuminate the lodge after the generator is switched off. There is no better way to experience a wonderful spirit of mountains than sitting in the main room heated up by a fireplace and talking to other travellers in a dim candle light. During the day, you may enjoy the fantastic view on Kotlina Jeleniogórska (Jelenia Góra Valley) while sitting in front of the building. For the return trip, find and follow a black trail markers as they will direct you to the same place where you started the hike, Dom Houptmanna (Hauptmann's House). The walk back goes through the woods and takes around 1,5h but is a lovely way to finish this exciting day.